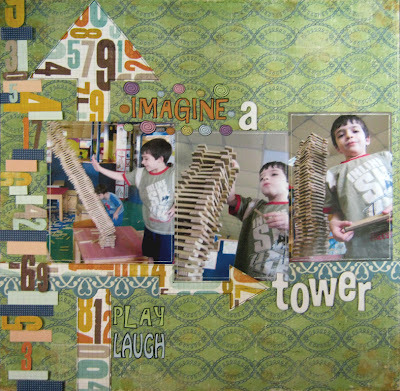 This is another DT layout I did for My Punch with a series of photos showing my son building a tower. I love these photos because they're shot from an angle that shows the building experience and the height of the tower. I'm not a professional photographer, but I like taking pictures of almost anything. I always have a camera with me, so I' won't miss anything. 1. Up close and personal – take the photo from a close distance to eliminate as many disruptions in the background as possible. We spent that day in a big playground so there were many kids, toys and parents in the background. 2. Find the right angle: find the angle that will help you tell the story in the photo. This story is about building a tower, so I got down on my knees and shot the photo looking up at him. This way I could enhance the height of the tower. 3. Photograph the process: take a series of photos from the beginning to the end of the story. I captured the whole building and destroying process. 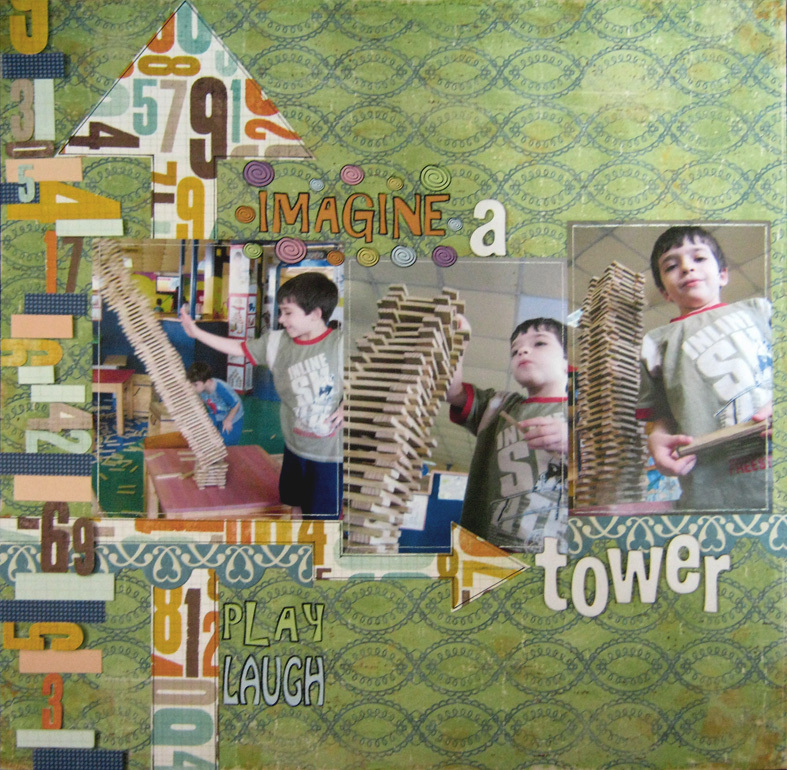 To complete the story in the photos I added to the layout a patterned paper with numbers that reminded me of floors in a building and "built" a tower of my own using blocks of paper and "number blocks" I cut from the patterned paper. I created more dimension by adhering some of them with 3D foam tape. To further emphasize the height atmosphere, I added two arrows to the layout, one pointing at the word "tower" and the other pointing up. I used a mixture of fun words and letters for my title to give the layout a playful feel to it. I don't know what he enjoyed more building the tower or pushing it to the floor when it was done, but it was definitely a very fun day and a real joy to create this LO! Great layout! I love your style. And thanks for the tips - keep them coming! תודה על הטיפים. הדף מתוק מאד! Great tips--your layout turned out beautiful. 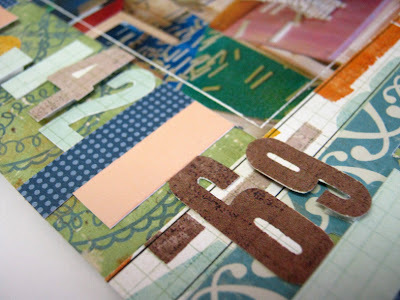 Thanks for participating in the FaveCrafts Blog Hop! We're doing a special blog hop newsletter mailing as well :) We'll see you back in February!